Hi! 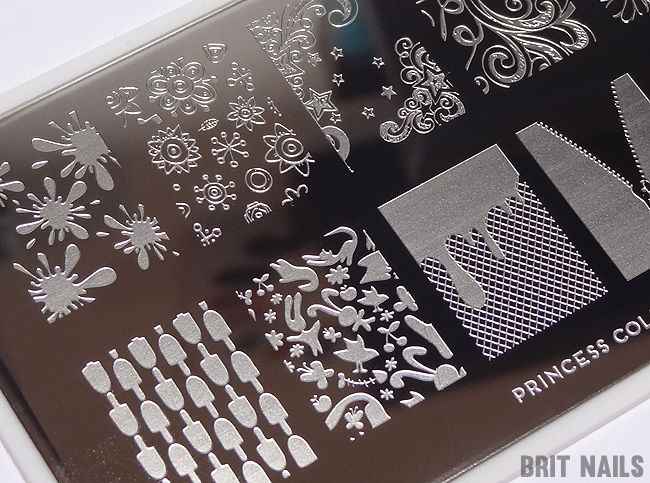 Today I have a review of the MoYou London XL stamping plates and a cute floral manicure I did with them. Before I'd even opened the plates I was drawn to the thoughtful packaging! How lovely is it!? As somebody with super long nail beds, I usually struggle to get stamping plates that will comfortably cover my nails. Konad especially don't fit properly, and the 2012 Bundle Monster plates barely fit even if I'm careful with placement. Enter MoYou's XL plates! The images on these plates are 1.5cm x 2cm, aka huge! MoYou offer a big selection of XL plates as well as regular sized plates, which are 1.2cm x 1.5cm. The XL plates have 12 designs per plate (regular sized have 18 per plate) and come set on a hard plastic base which means no sharp edges. The images seem to be a bit deeper cut than Konad or Bundle Monster, and I found using a bit less polish than I'm used to made a difference. 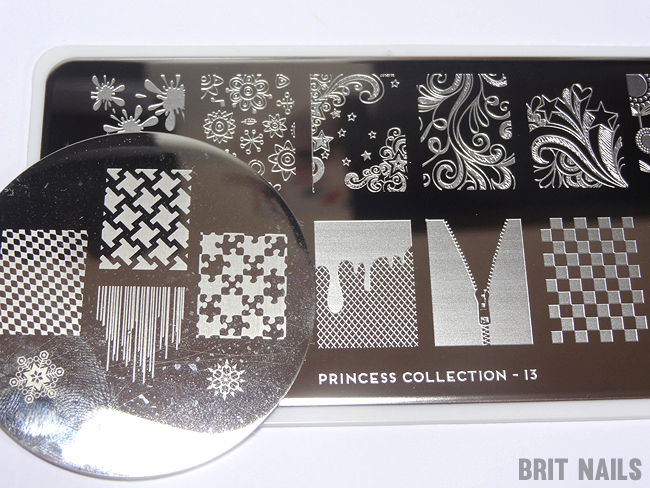 Below is Princess Collection plate 13. I was sent the XL stamper and scraper (sold separately) to use with the XL plates. It has 2 ends, one for large, full nail images and one for smaller images. It's much squashier than a Konad stamper, so it took some getting used to! After a few tries though I found the squashiness made applying the stamp to my nail much easier. The scraper is made of plastic too which means less scratches left on your plates. For this design, I used a floral image from Princess Collection plate 13. Colours used are Topshop Green Room and ORLY Miss Conduct (one of my all time favourite polishes!) I stamped using Konad white polish. I am (still) not the best stamper in the world but it was such a pleasure to use a plate that actually fit my nails easily with room to spare. It made everything so much quicker! I will be reluctant to ever go back to my old plates after this. Another awesome thing about MoYou are the plates where the whole thing is one big image! 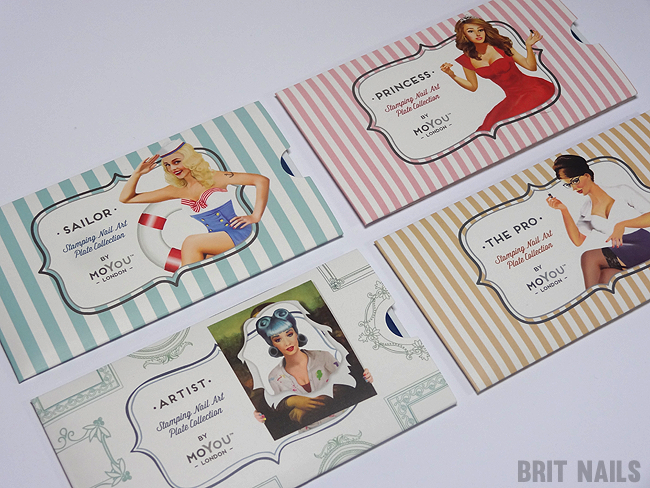 These are great for big or small nails...I want all of them! Some of the Suki plates are particularly lovely. Below is a plate from the Artist Collection. MoYou's website has a huge selection of plates in a myriad of original designs, all priced at £4.99 each with free UK delivery! What do you think? Have you tried MoYou? 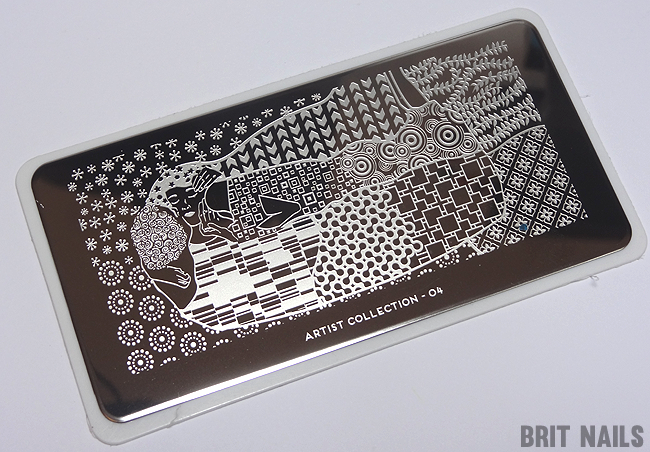 these stamping plates are just amazing. I'm not into all this stampin fever but these plates just touched my heart! love them! I have Cheeky Jumbo, happy with them too! I want to try Cheeky Jumbo next! the artist collection plate it CRAZY! what a cool concept!